Shortly before Christmas, a dear friend and local mom of a little boy that lives with type 1 diabetes, posted an adorable picture of a present that he received in the mail; his Blood Sugar Fairy. Standing just about an inch tall and made simply from a bit of wire and repurposed diabetes supplies, the little fairy brought out an enchanting quality that is rarely seen in the world of needle pokes, A BIG SMILE! Each fairy also arrived with a cute little book and an index card that says, "They say that when the sun has been tucked into bed at night and the stars are twinkling trying to stay awake... that is when the Blood Sugar Fairies come out.....". Oldest daughter with her newly opened Blood Sugar Fairy, now named Sitearia. Instantly, I was smitten. As a mom of two little girls that still keep tiny fairy-sized homes in their closet and bookshelves, I thought that this might be the most fantastic creation for those that are living with type 1 diabetes. Magic and sweetness entwined together, the tiny little fairy was the perfect size for slipping into a pocket on a tough diabetes day or to dangle from a lamp used in middle-of-the-night blood sugar checks. For my Youngest Daughter, the thought of having a little fairy to keep watch over her at night was also important. 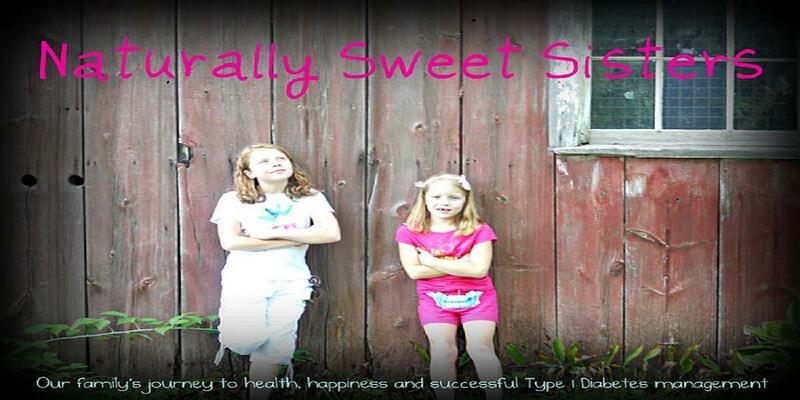 Her moments of anxiety are heightened on the days that we struggle with blood sugar management. Even Oldest Daughter has had difficulty from time to time. Sleepovers took on a new dimension last year when she realized that being away from mom also meant the need to figure out who would be responsible for those late night/early a.m. checks. So I wrote a note to the kind woman that is making these, inquiring about getting two for a pair of Naturally Sweet Sisters. 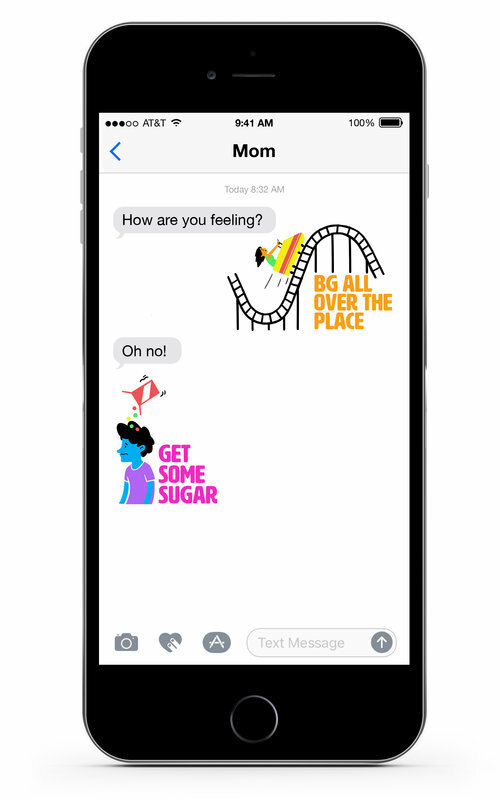 The inventor is also a mom of a little girl that was diagnosed with t1d and has great sympathy for the stress that the disease can give children (and their parents!). Instead of sitting idly while we wait for a cure, she went ahead and created these adorable fairies to simply help kids of all ages to cope. She also encouraged me to share this special fairy with all of you. "Spreading the word is the best way anyone can help with our mission. SO please do share. There might be someone who sees it who really needs the hope." Even our night watchman had to get in on this. I swear he knows when the girls are having lows. Here are a few special pictures of the Naturally Sweet Sisters opening their own blood sugar fairies. I purposely waited until after Christmas, so that the magic would come at a time when our world was once again quiet. It was the perfect time! Just about a third of the size of a DexCom. Youngest Daughter said, "She is so pretty!". Oh and in case you are wondering what they named them, Youngest Daughter has decided to name hers Poksie (for the little pokes that she gets!) and Oldest Daughter named hers Sitearia because she said that it would help take the pain from infusion site injections. Of course, hearing them talk about their fairies and how they would help sort of broke my heart, BUT knowing that they had a special moment with their fairies and that for at least that moment, none of it seemed to bother either of them. Thank you Blood Sugar Fairy! You are making a difference! My 7-year old got his back in October, and she still gets a lot attention. We love it, and love how she keeps watch over him each night. I think that it is total sweetness. Youngest daughter moved hers directly into her fairy home and introduced her via a letter to the tooth fairy. 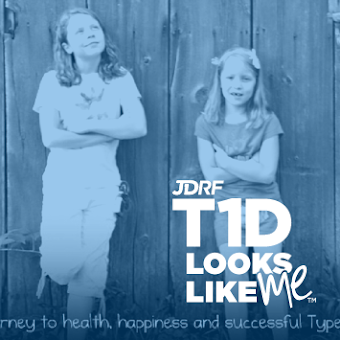 I love how she sees the world as perfectly intermixed with all things diabetes. Somehow we make it through. The Pancreas Gets A Shout-Out! Someone was diagnosed with type 1 diabetes today.